Dani knew early on that she had a unique sense of adventure, and now spends most of her time seeking her thresholds. She actively looks for any opportunity to challenge herself, so when offered the chance to participate on Naked and Afraid, she said, "Why not?" While volunteering in Tanzania, Dani was part of a tragic incident involving the death of her friend and roommate. She swiftly returned home suffering from post-traumatic stress, but through wilderness exposure and therapy she found peace and began to develop an interest in survival knowledge. She has been practicing on her own for five years. 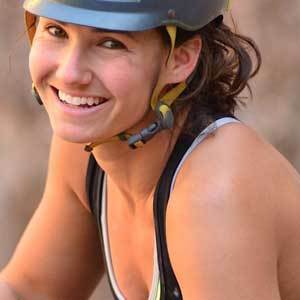 Dani is passionate about rock climbing and spends much of her time in Yosemite Valley when not working. She's currently the subject of a new documentary being filmed in Yosemite that will be released in the fall of 2016, and is training hard to meet her goal of solo-climbing El Capitan. Also an avid cyclist, Dani plans to participate in the AIDS Lifecycle with her father in 2015. She tries to live every day to the fullest, and spends as much time outside as she can. Dani's future plans involve someday opening an adventure sports camp for children living in transitional housing situations.